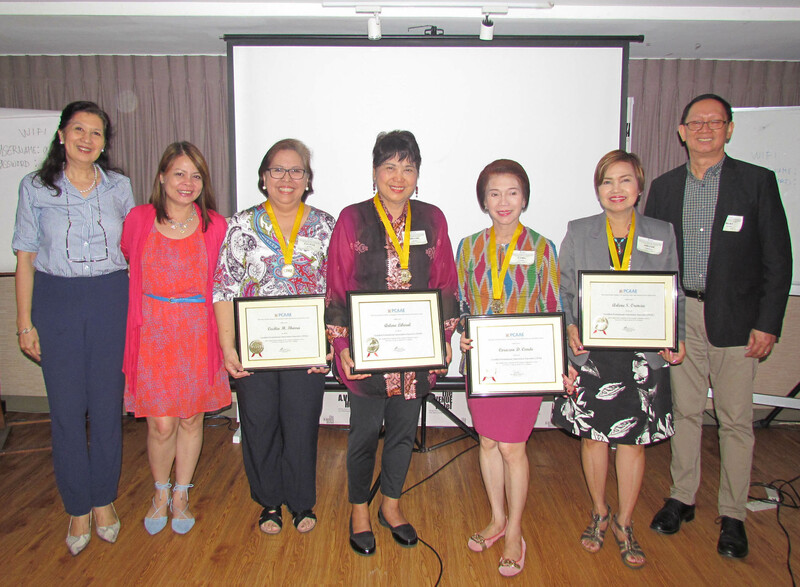 After completing the required CPAE courses, the PCAAE has conferred the CPAE credential to five (5) new graduates of the program on April 18, 2017 during a seminar on “Branding, Public Relations, Communication and Marketing for Associations” at the Best Western Antel Hotel, Serenity Tower, in Makati, Metro Manila. The five additional graduates bring the total CPAE recipients to now 17, the first 12 of which got their credentials at the PCAAE General Council of Members Meeting on November 24, 2016 at the PICC. The CPAE program is a comprehensive and rigorous training regimen aimed at further advancing the association management profession in the country. It was designed and developed by PCAAE member-practitioners themselves based on international standards on association management best practices that covered topics such as leadership development, membership recruitment, retention and engagement, fundraising and financial management, human resource management, marketing, communication and branding and legal and regulatory aspects. The program is spread out in monthly seminars over a period of six (6) months with corresponding CEP (continuing education points) to track program completion. The five new graduates included: Cora Conde, Arlene Orencia, Emy Chavez, Cecille Ibarra of the ADFIAP Consulting Group, and Ms. Arlene Liberal from the Small Enterprise Research and Development Foundation (SERDEF). For more details on the CPAE program of the PCAAE, please contact Mr. Boyet Florencio at [email protected].